If your favourite cushions, pillows, pet beds or other home crafts begins to sag from years of happy use, our super soft and luxurious 100% polyester hollow fibre stuffing will surely give them a new lease of life. Our hollow fibre filling is very lofty, soft and bouncy to give you the same old cosily feeling. If you want to snugly fill your entire pillows and cushions or toys, our hollow fibre filling in 5 kg pack is just the perfect choice for you. Bedding Mill offer supreme quality carded toy stuffing that are extremely soft, lavish and highly durable. 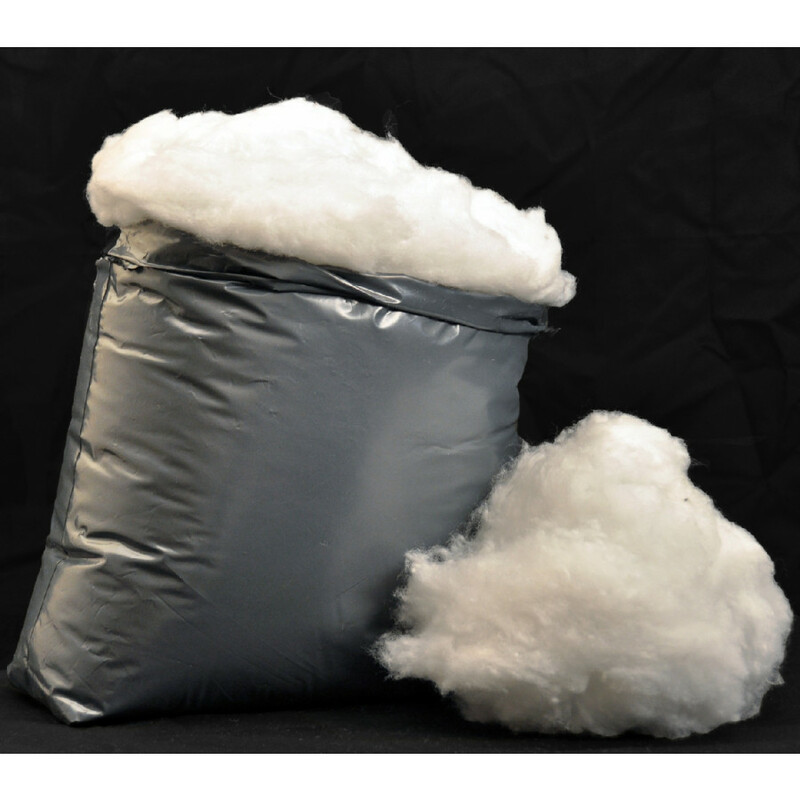 Our Polyester hollow fibre filling is outstanding and ideal for filling toys, deflated pillows or cushions, dog beds etc. Our fillings are of premium quality, light in weight and fluffy to give new life to your deflated toys or pillows. Our stuffing is available in different weights, so you can easily choose according to your requirements. Available in very reasonable prices, you can now instantaneously add renew your kid’s toys or cushions, dog beds rather than buying new ones every time.